Hello, 911? It’s an emergency! This is a common phrase that is famous in the United States when it comes to dealing with an emergency. Whether you are stuck in an isolated location or are facing a medical emergency, calling 911 for help and support is advised. In a year, Americans make 240 million calls to the emergency contact number; making it one amongst the busiest inbound emergency line in the world. With a population of 32.72 Crores (statists of the year 2018), the average population density comes down to approximately 92 people per mile across the United States. This is quite low in comparison to numerous countries across the globe, which is the reason why a lot of people in the USA still have massive homes at isolated locations. In fact, even in cities except for the major metropolitans, you can find neighborhoods that have a fewer number of residents when compared to the covered area. This is one amongst the major factors that contribute to the crime rate and unattended medical emergencies that often lead to the death of individuals and even families. To tackle this, 911 emergency line was commissioned on February 16th, 1968 by the Alabama Telephone Company. Ever since it has been a potent tool to diffuse critical situations and save lives all across America. However, all this wouldn’t have happened without the incredible support and services rendered by the organizations that handle 911 calls. These are not the calls handled by typical call centre outsourcing service providers; someone’s life might be in danger. So, once you call on a line, you won’t be hearing any niceties and greetings. The 911 agents are trained to cut to the chase; so that time can be saved and mission-critical information is acquired to send over the rescue team. The agents who handle these calls often hold a degree in forensic psychology and are highly trained and professional; they know exactly how to deal with callers in stressful situations. From guiding toddlers on call to calming down people suffering from an injury or a medical episode of extreme physical trauma, these agents are proficient enough to handle it all. The English-speaking citizens of the United States can easily connect with agents on a 911 call but what about those who belong to communities that aren’t well-versed with the language and the foreign visitors? Thankfully! The multiple language support rendered by most of the call centres that offer services to the 911 line has been a savior in such situations. As soon as the agent realizes that the caller isn’t well-versed in English; he immediately connects him to a language expert, who thereafter takes over the communication and rescue procedure. This is one amongst the major factors that have helped the police in rescuing people in distressed situations and even prevent suicides and crimes. The law enforcement agencies massively rely on the operational efficiency of these call centres that have language experts, who aren’t just capable of making the communication smoother but also effective. Multiple language support surely is one amongst the most effective additions to the 911 line. Lots of people aren't aware that the 911 cell of the United States doesn’t have in-house multiple language support. They are actually availing call centre outsourcing services to reduce the expenses whilst rendering the best support to each caller. The expense of hiring so many language experts would have been uneconomical for the government and would have been an unrequired wastage of the taxpayer’s money. This is the reason why outsourced solutions seemed lucrative. 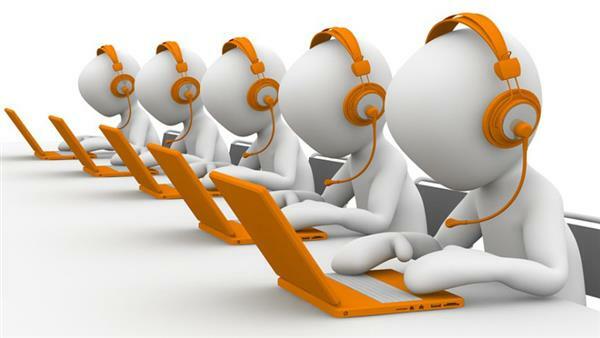 They are both efficient and cost-effective; as call centres hire the cream of experts to deal with the sensitive calls. Call centre outsourcing service providers mostly follow a pay per call pattern whilst dealing with the 911 calls. This is quite helpful for the federal law enforcement agencies of the states, who do not have to allocate a big budget for multiple language support. The collaboration has successfully achieved good reviews from the callers and many outsourcing service providers strive to attain the prestige of serving 911. As, of course, 911 is a prized addition to any call centre’s clientele. The voice channel has always been the favourite support service medium of customers. Owing to the same reason, companies get maximum support requests in the form of calls. To ensure that customer calls get responded perfectly, business owners take the help of a specialised service provider like B2B call centre. ‘Human factor’ is the only reason why customers choose telephone medium to avail support service. And, it is vitally important for businesses (that run an in-house call centre) to provide solutions in a personalised manner as that’s the best way to give an amazing calling experience to customers. A short & sweet introduction should be given during customer interaction. Customers should be invited to explain their queries. The CRM system should be used during support service interactions so that better resolutions could be rendered. Customers should be informed firstly if there is a need to put the call on hold. According to the latest industry reports, 60% of customers choose the voice channel when they are in need of support service. This fact should be enough to understand why the waiting time of the telephone medium is higher than other customer service platforms. From the customers’ perspective, the call should be connected with support service reps after the first ring, which is quite difficult to make it happen. Here, only one thing that businesses can do is shorten the average length of call queues. Reducing call queue length is extremely important because most of the callers disconnect the call after waiting around for 2 minutes. What’s more, 34% of them won’t place a call again to get the solution of their issues. This isn’t good for the business’s credibility. Include a call-back option in the IVR menu. Manage support agents according to the call volume. Keep the knowledge base updated so that customer interactions could be concluded swiftly. Check the recordings of those calls that went for a long duration, after that, come up with some new strategies that can ensure the deliverance of quick resolutions. Whenever customers place a call, they expect that they would have a meaningful dialogue with support agents so that queries related to products/services can be solved as soon as possible. Thus, it is vital for businesses that are handling customer service queries by themselves provide quality speech training to agents. The major benefit of providing speech training is that the issues related to accent, speech rate, etc. wouldn’t arise. As a positive result, this leads to the delivery of splendid calling experience. How Telemarketing Services can be utilized in the process of Lead Generation? Lead generation is the process of developing or rooting a customer’s interest in a specific product or service for the purpose of building a sales funnel. With the rise of digitalization, the lead generation process has undergone a substantial change in recent years. The channel for generating leads have changed and have grown to numbers. Digital channels are the most preferred way of generating leads because buyer’s information is readily available there. Still, there are few services like telemarketing services that are considered as the most effective and fastest way to acquire leads. Since business professionals get in direct contact with customers, it’s easy to understand the buyers’ behaviour and their buying strategies. In this article, I have tried to explain how telemarketing services can be utilized to acquire more leads. Telephones help you to get into direct contact with your customer. It is the fastest and one of the most effective ways to interact and engage with your audience and build a relationship. Additionally, it can be one of the cheapest ways to make your marketing approach work. The service allows you to get in direct touch with the customer, makes you focus on your prospects’ needs in a better way, enables you to address any objection in a more transparent way, allows you to handle any query or concern in a much better way, and helps you collecting feedback instantly. The service also helps in building a healthy relationship with customers because it includes a human touch from the telemarketing agents. Customers feel more than happy when they realize that they are talking to humans who really care for them and not talking to robots. When telemarketers and sales team work together, the business is able to generate more leads. The reason being, telemarketers are more involved in prospecting, they approach new prospects and qualify leads. This way a telemarketer provides more time to the sales team to focus on selling and finally closing it. More sales team will be involved in closing sales, more revenue a business will be able to generate. We are living in an era where almost everything has been digitalized. The Lead generation, too, isn’t left untouched with the same. There are various ways to generate leads, for example, through content marketing, email marketing, webinars, PPC etc. Lead generation can result more effective if any of these would be combined with telemarketing services. For instance, if you hosted a webinar, you get a set of audience who attend it. But this doesn’t depict that all of the prospects are sales ready. In order to make them sales ready, it’s important that they know you and your business well and it’s equally important for you to know about them. A telephone could be the best and fastest approach to connect and build a relationship with the customers. There are leads who have interest in your product or service and are even capable of buying but haven’t made any purchase decision due to some hesitation or confusion they have related to product or service. Such kind of leads must not be ignored ever as this could be a great loss for your business. It’s true that they aren’t sales ready but that doesn’t mean that they won’t buy from you. Such kind of leads require especial attention and are supposed to be nurtured. Initiating a call to these leads could help them clear their doubts and help them make the purchase decision. It’s always better to retain the old customer than acquiring the new one. Because it always costs more to acquire new customers than to retain old ones. Telecallers keep calling the existing customers every once in a while so that the latter can feel the care. Such kind of gestures are surely appreciated by customers. Undeniably, telemarketing services are still as essential as they used to be earlier. But every coin has two sides. Some professionals find these technique intimidating as well as non-engaging because few customers don’t like getting disturbed by call at unexpected time. However, if done in a correct way and with correct strategy, these services could definitely be effective. How can BPO Companies utilize the Agent Idle Time? With the time, the significance of BPO firms has increased more than ever owing to their phenomenal services. Most of the business owners don’t think twice when it comes to availing services from the BPO companies. To maintain the reputation, BPO firms always keep their eye on agent idle time. This is so because whenever agents sit idle during peak hours, productivity gets reduced. Apart from that, sometimes agents genuinely don’t have much work to do owing to the negligible or low call volumes. At that time, agents usually waste their time in gossiping or doing unproductive work. Well, there are some ways that BPO firms can use to utilize the agent idle time in order to improve the business’s productivity. Do you know the best way to utilize agent idle time? ‘Conducting skill development sessions.’ Sometimes agents face annoying issues while using modern technology but they don’t inform the management owing to multiple reasons. This factor somewhere affects the productivity. Furthermore, newly joined agents always need extra training in order to bring the reliable results like their seniors do. That’s why BPO companies are always supposed to extend the training period. Making a stronger relationship with the agents. Reducing the agent turnover rate by increasing the job satisfaction level. If agents learn new skills & technologies, the possibility of better productivity would increase. As we know that dealing with irate customers on the daily basis could give a jarring experience. That’s why most of the BPO companies allow their agents to take a time-out to reduce the stress levels. But sometimes this aspect creates unnecessary problems. This is so because if agents take longer breaks or go for lunch at an inappropriate time during the peak hours, there is a high possibility that customers may not get the desired resolution within a short period of time. Consequently, this aspect leads to negative reviews and poor productivity. To ensure better productivity, agents cannot be treated like a machine. Therefore, it is crucial to make a reliable timetable with` ample breaks so that nothing can lead to a high agent attrition rate. Do you want to know the best way to render stupendous customer service? ‘Soliciting feedbacks from the agents.’ This is so because agents always have a fair idea about the customer expectations owing to the regular interactions. But BPO firms oftentimes ignore this factor as they think that sending surveys to collect customer feedback is enough. However, this aspect is not 100% correct because customers sometimes fail to express their feelings while giving feedback. You can collect constructive reviews that can improve the quality of customer service. Agents can freely explain how work environment should be improved. You can provide performance scores to your agents. Being an owner of a BPO firm, you should be familiar with the harsh reality that every agent cannot bring the desired results. But terminating poor performing agents from their respective positions could give a negative impact on the whole staff. Apart from that, hiring new agents can consume a lot of resources and money. This will affect the business’s bottom line for sure. Therefore, it is imperative for you to allow your best agents to share their experience so that low performers can understand the way to achieve better results. To ensure consistent performance, BPO companies always provide call scripts to the agents. But sometimes agents face unnecessary issues while finding answers in the scripts. This aspect usually increases the average hold time, which, in turn, leads to reduced CSAT score. During the negligible call volume, it is significant for you to discuss how scripts can be improved with your agents. That’s how you can use agent idle time in order to improve the business’s productivity.